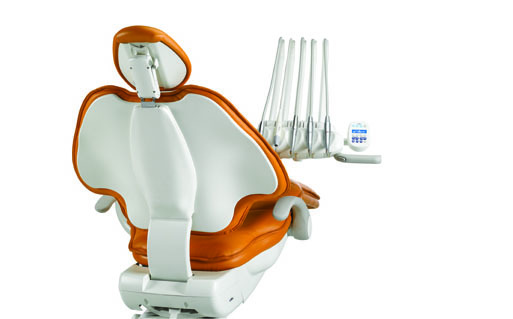 The A-dec 500 Dental Chair offers the ‘ultimate’ in doctor and patient comfort. A-dec offer dental treatment units that can be tailored to your exacting requirements. The A-dec 500 has a reputation for offering un rivalled comfort & reliability. What are the main features of the A-dec 500 Dental Chair? The A-dec 500 offers outstanding comfort and support. It’s ultra-thin 1″ (25mm) backrest allows optimal oral cavity access and increased leg room. Expanded height range. Offers a range from 343 mm to 800 mm so suitable for any dentist. Ideal for implant work. Self-contained 2 litre water bottle reduces risk of cross-contamination. Exceptional range of motion plus low ‘down’ position (13.5″/344mm) improves access, visibility and posture. Integrated touchpad to give you easy control of chair cuspidor and dental light. Control head pivot points provides superb instrument positioning. Armrests that can be positioned for easy access. The A-dec LED dental light floods the oral cavity with light. Most dental lights today only provide a light intensity of up to 25,000 lux. ALL A-dec Dental Chair Packages come with a 5 year warranty. "Jim and the team have been instrumental in creating my 'award nominated' practice. They were there from the beginning and were always very hands on, listening to what I wanted and trying to understand me as a person." Hague Dental's team of experts would be delighted to provide you with a 'no obligation' design consultation at your practice. With almost 20 years of experience in design NHS and Private Dental Practices, as well as Community Health Centres our Design team ensure that all plans are done to the highest specification to avoid costly delays. Come and experience the entire range of Adec Dental units at our Stunning Dental Practice Design Centre and equipment showroom near Gatwick. Appointments are at your convenience including evenings and weekends. Hague understand that taking on a refurbishment when you are running a busy practice or when you are undertaking a squat site can be very stressful. Our Project Management Service provides build quotations and coordinates trades to ensure your project comes in 'on time and in budget'. Hague Dental are proud to have one of the most experienced, 'manufacture trained' teams of dental engineers in the UK. We understand the importance of keeping your down-times to a minimum and a offer same day emergency callout service. 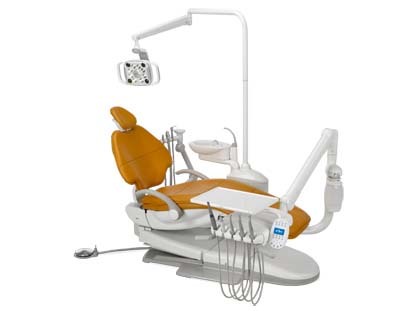 The Hague Team look at for the right dental chair package for you. With such a big investment it’s so important to get the right advice.